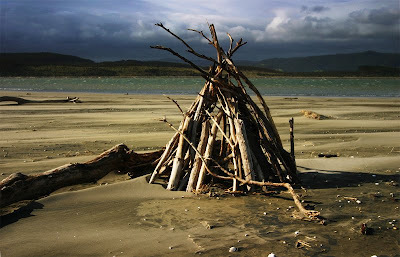 The photographs on these site (currently 93 pictures) where taken from 2004 - 2007 at and around Port Waikato New Zealand. They reflect a time when I discovered not only this beautiful area of New Zealand, but my passion for photography. While my current career and lifestyle don't permit to go out to Port Waikato and take as many photographs as I used to, I hope that these images share the magical light that illuminates one of my favourite areas of the world. If you are interested in Photo Books of the Port Waikato photos, please contact me! Nowhere to go, somewhere to grow. Orange you going to give me a hand?